 First impressions matter and every bride wants to wow their guests and treat them to an experience that will forever be remembered. 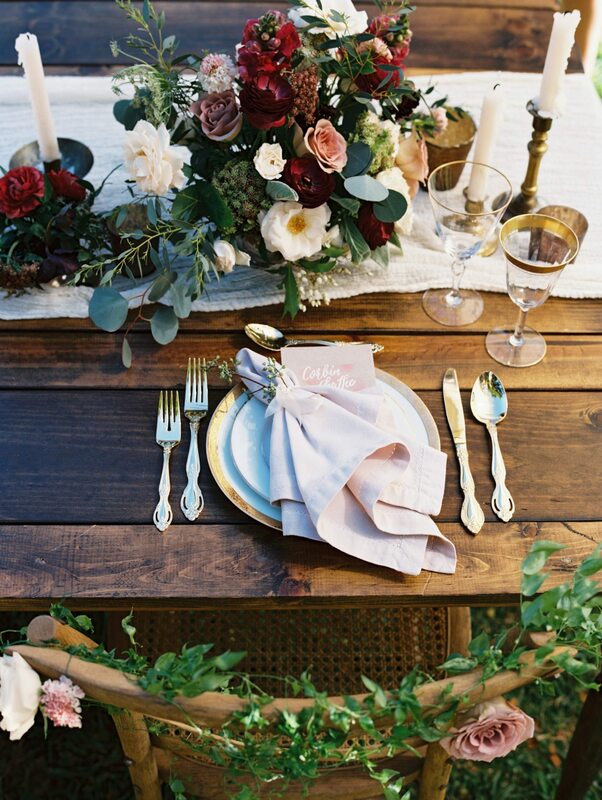 So how do you make your guest’s jaw drop- tablescape decor details! You wedding day provides unlimited opportunities to show off your personal style that is sure to be the talk of the town for years to come. 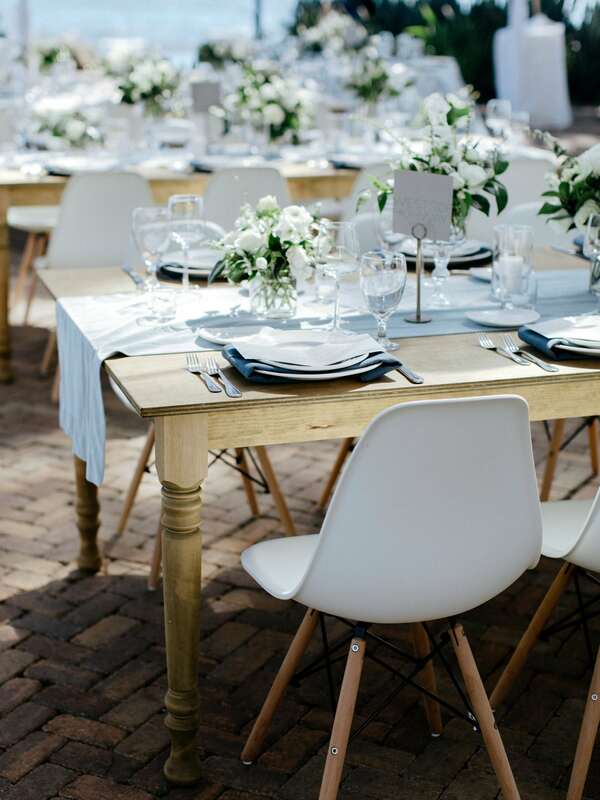 A huge portion of your wedding budget should be allocated to décor and your tablescape and tabletop details are one of the main elements that your guests will have direct contact with. We have all been to the wedding that left very little to be desired visually, so from the moment your guests are seated- give them something to talk about. 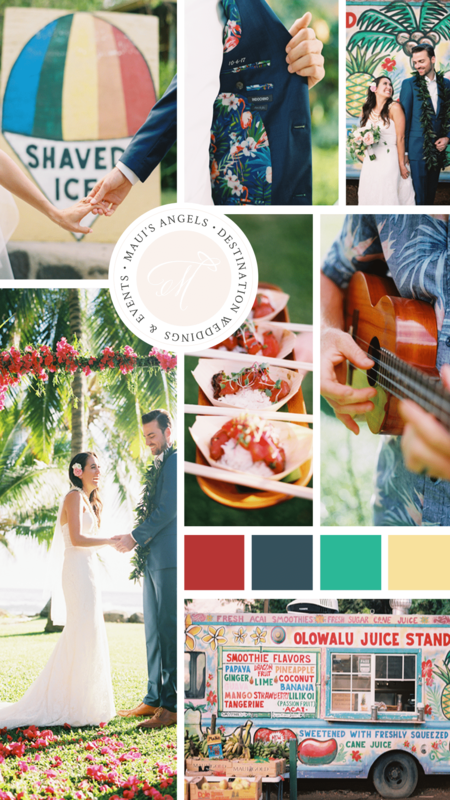 Times have certainly changed when it comes to traditional reception décor. 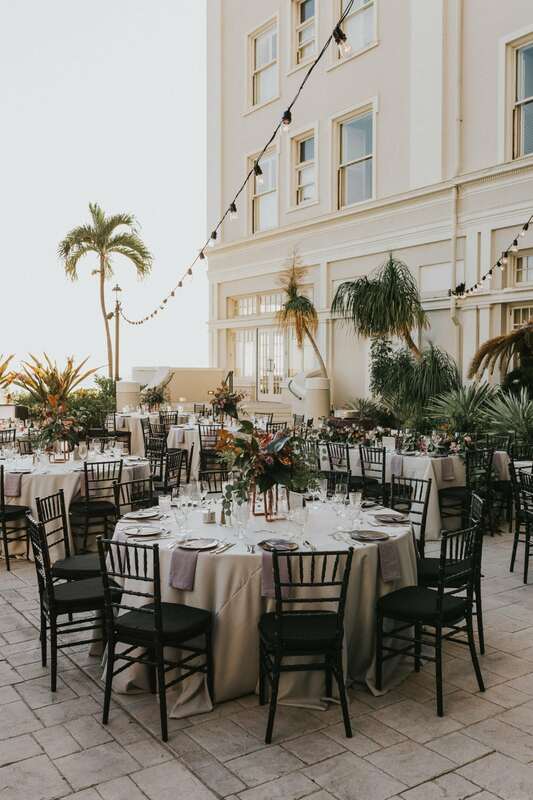 We can all remember the times attending a wedding or event in a banquet venue with banquet tables and banquet linens- you know, the square linens on the round tables with the legs showing? See, you know exactly what we are talking about! 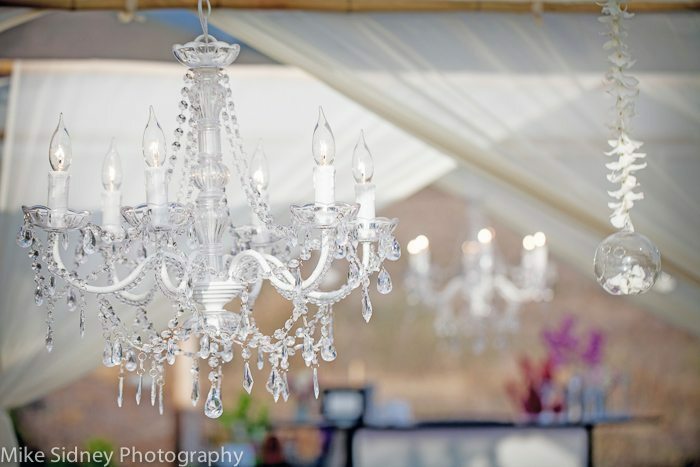 Luckily, the event industry is exploding with creative new concepts, high end rentals and stylish event design offerings. 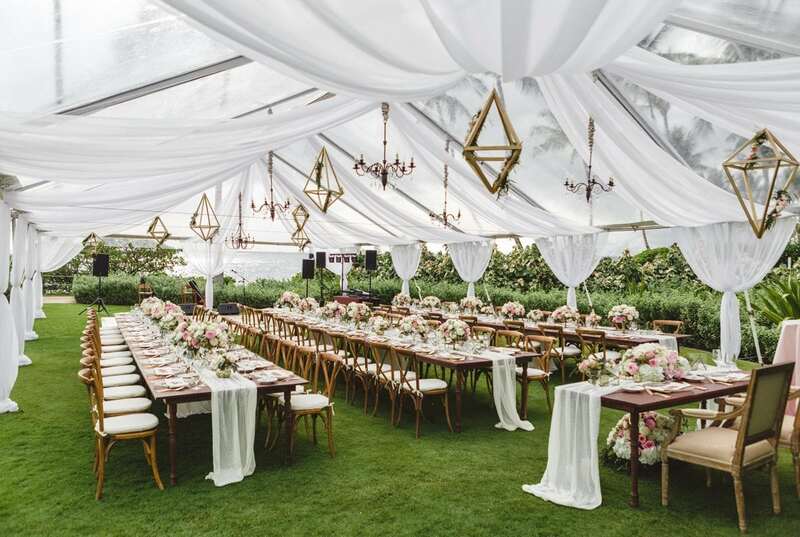 Consider the actual table itself as your base layer when starting to plan your reception and tabletop details. The table sets the tone and gives you a “blank canvas” to build on. Farmhouse Table or Linen- the choice is yours! Now that you have decided on your base, this is where the fun begins! There truly are endless combinations to consider when building your dinnerware layer and no matter your color palette or design theme, you can find the perfect pairing of finishes that will make dinner service look and feel thoughtful and well planned with your guests in mind. 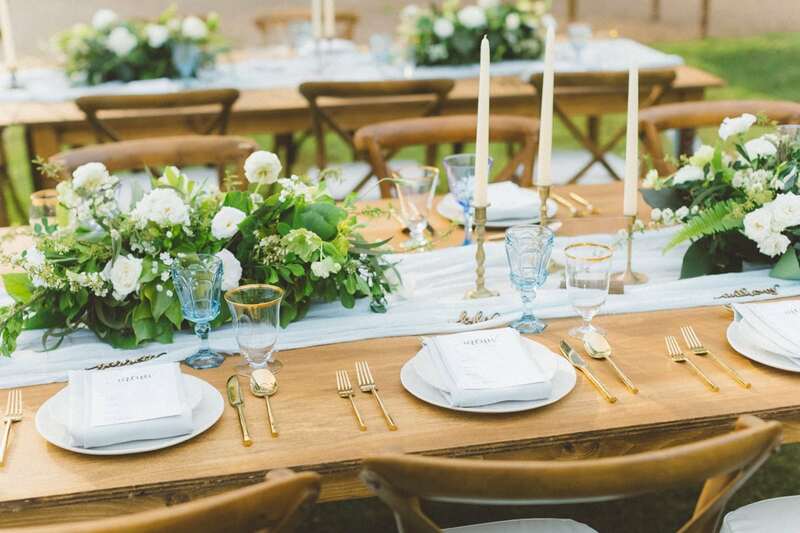 Sitting down to an elaborate tablescape can be quite the experience for those in attendance. Considering the senses when pairing your dinnerware and accompaniments is important and can make or break your overall design theme. For example, if you have chosen to use a farmhouse table as your base, adding luxurious finishes can help balance out the rustic feel. 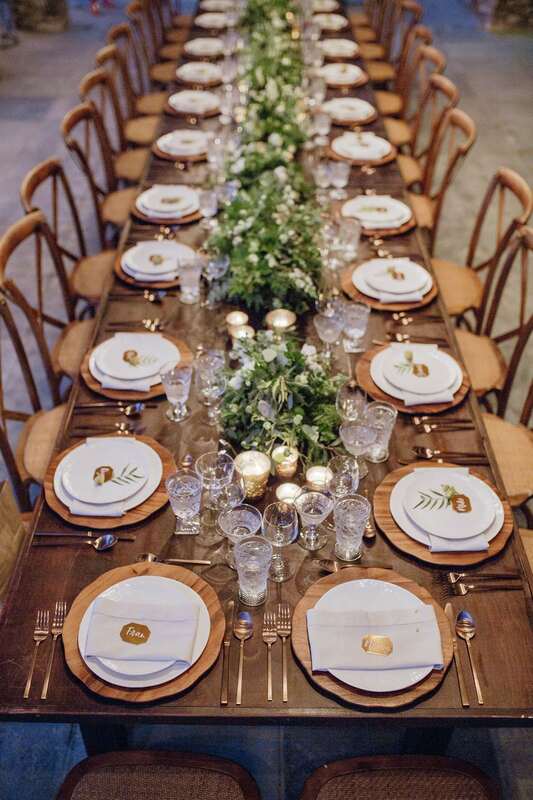 By using metallic gold flatware, a silk table runner and napkins and colored glassware, this will soften the natural elements and add a richness to the table setting. Your centerpiece is by far the most important statement your table will make and will tie all of your design elements together. 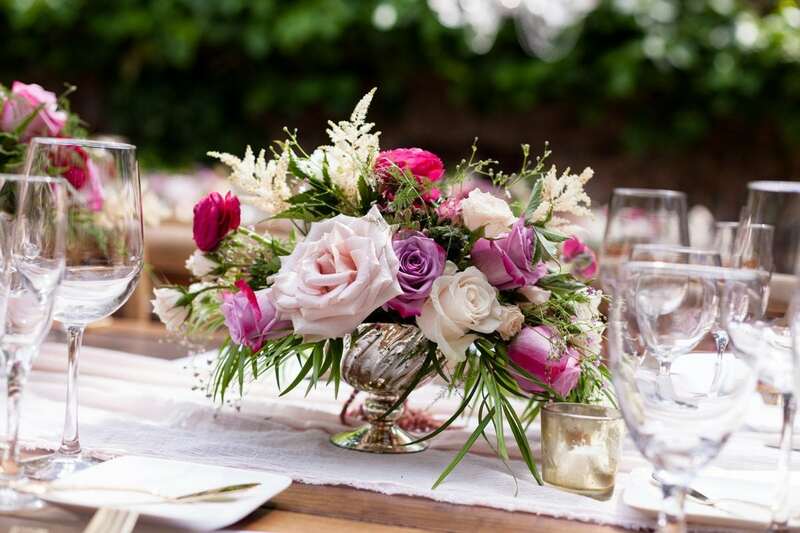 Floral arrangements and accents add texture and color, are visually pleasing to the eye and add life to your table decor. 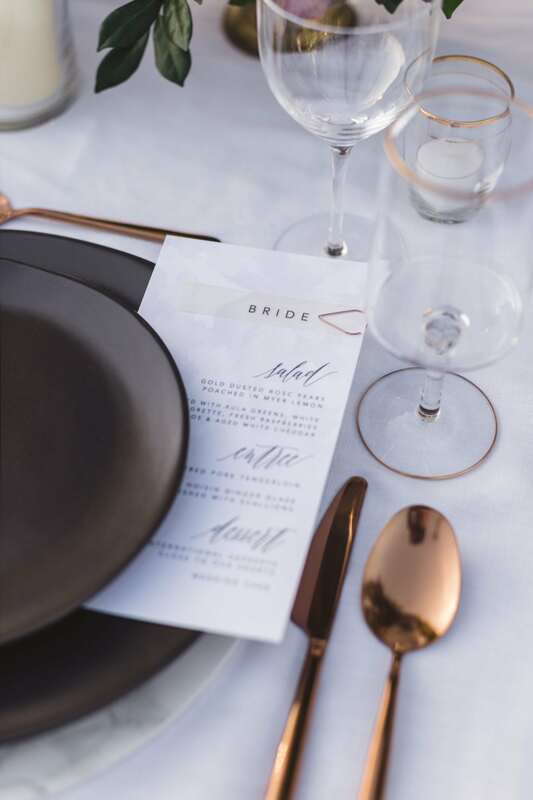 Guests love information and a beautifully designed menu card adds another layered touch to your place settings. 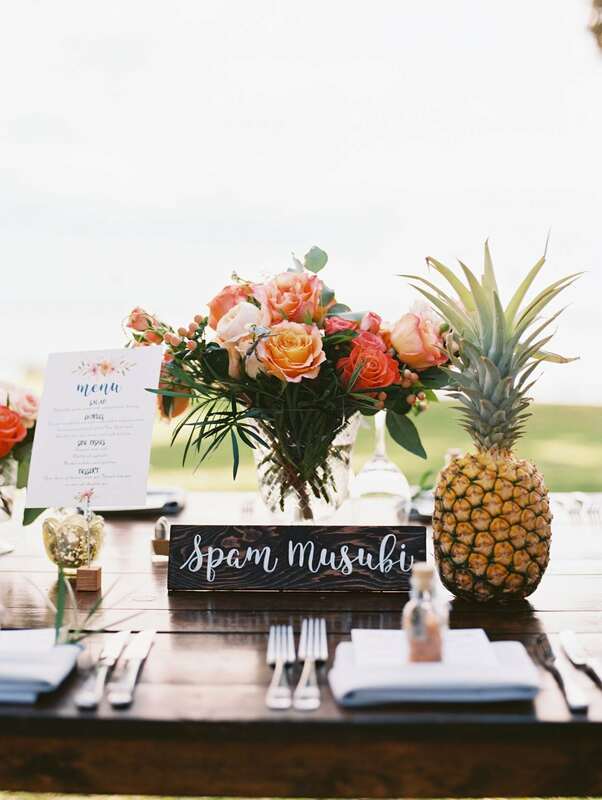 Paired with unique table numbers, placecards and even drink cards, your guests will have a little insight to what is in store for the evening and what to expect for dinner and bar service. 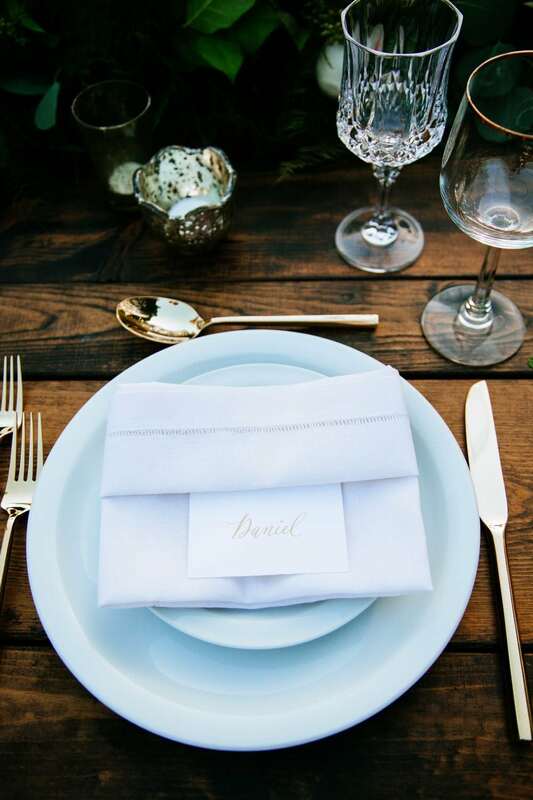 Napkins are another great way to bring variety to the table- a texture your guests will absolutely touch and feel. You can tie in your menu card with a creative napkin fold that is inviting and will make your guests feel that you have set this place setting just for them. Accessories allow another layer for pure creativity. 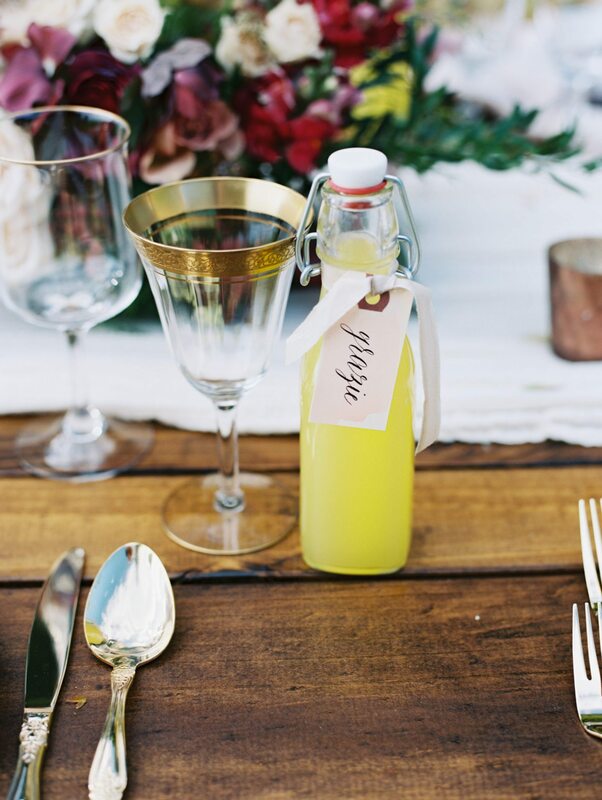 The smallest little detail is sure to be remembered and will be an added conversation piece as guests begin to find their seats. 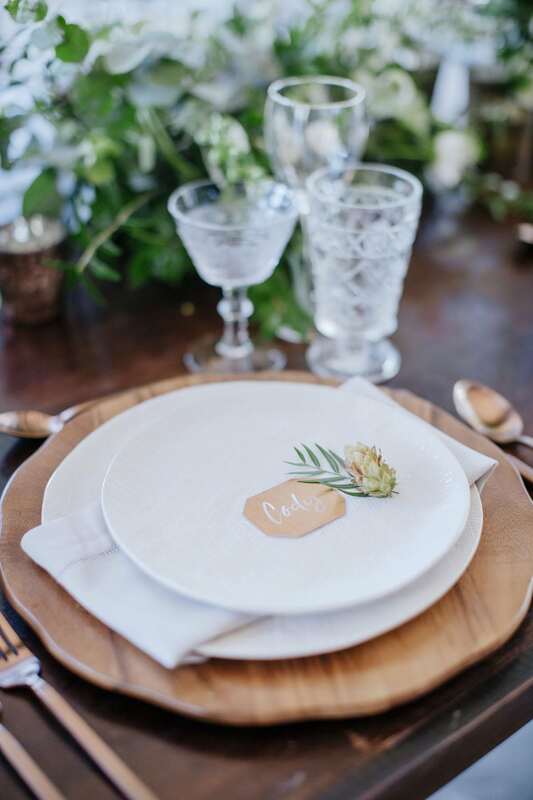 Where ever you can and as much as you can, adding thoughtful and beautiful decor details to your tablescape is really important and completely worth the time, effort and budget. With a little creativity, designing your tablescape to be as unique as you are is guaranteed to leave a lasting impression.